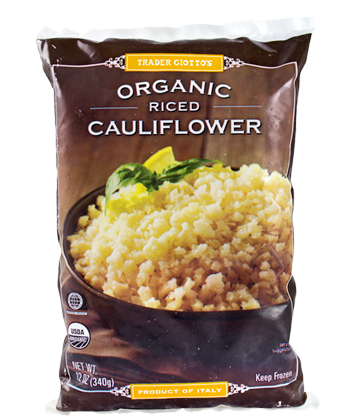 As you can tell, I’m no food photographer, but wanted to share this tasty dish to show off how versatile cauliflower is, to the point where you can make a low carb stir fry with “rice”. 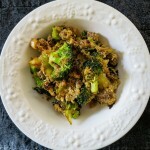 This dish helped a lot the first few months after I went low carb, as it honestly gave a texture/comfort food feeling of ‘rice’ with the familiar flavors of a stir fry. 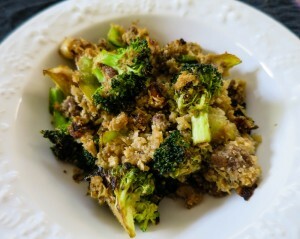 Also, stir fry is a great dinner to get rid of extra veggies in the fridge! 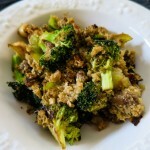 Low Carb Stir Fry "Rice"
Low Carb Stir Fry with cauliflower rice - comfort food voila! 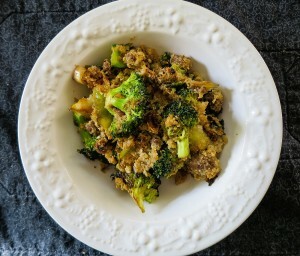 Saute the onion in coconut oil for about 3 minutes, then throw in the bok choy and broccoli and let that saute to soften up for a bit. Add in the shrimp (mine were pre-cooked), walnuts, soy sauce, then cook an egg in there, let simmer for under two minutes. Add more soy sauce, salt, pepper, dash of curry powder (I love this stuff). 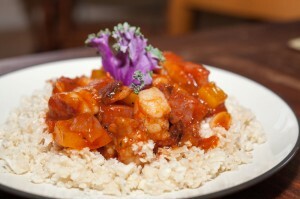 Let it cook up for a bit, voila! Extremely filling and easy to alter for whatever amounts you want to use. 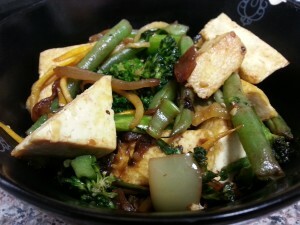 *If you are living the low carb lifestyle, do not use low-sodium soy sauce. Use the full on sodium version. Being low carb means that your kidneys will flush away salt quickly, so you need to replenish. If you are gluten free, please ensure to get a gluten free soy sauce.